Judges in Virginia must evaluate specific factors, set forth in the state's statutes, to determine what is in the best interests of a child who is the subject of a visitation order. These factors include the age and condition of the child and parents; each parent’s relationship with the child; other important relationships in the child’s life; meaningful preference of the child; role each parent played and will play in the upbringing of the child; each parent's willingness to support the other parent’s relationship with the child; each parent's bond with the child and ability to cooperate in resolving disputes surrounding the child; any history of abuse or neglect; and any other factors the court deems pertinent. The court can also order independent mental health or psychological evaluations to assist in the decision-making process. While Virginia statutes emphasize the supreme importance of the parent-child relationship, the law also allows visitation to be granted to other persons with a legitimate interest, including grandparents and other relatives. The court requires clear and convincing evidence that such visitation is in the best interests of the child before a judge may order third-party visitation over the wishes of parents. When considering the appropriateness of allowing a third party to have visitation, the court evaluates the same statutory factors considered in parent-child visitation requests. For example, in considering grandparent visitation, the court will look at the past relationship between the grandparent and the child; the facilities available to the grandparent for visitation; the child’s relationship with his extended family; any evidence of abuse by the grandparent; the fitness and ability of the grandparent to care for the child during visitation; and evidence the child benefits from association with the grandparent. Virginia courts retain authority to modify child visitation orders in cases where Virginia has "home state" jurisdiction, typically where a child has lived for six consecutive months. Virginia has adopted the Uniform Child Custody Jurisdiction Enforcement Act, which determines which states have the power to rule on child custody and visitation matters. Virginia can modify an order made in the state, but not an order from another state unless jurisdiction is transferred. The best interests of the child standard governs decisions on visitation modification, which must be based on a change of circumstances. Virginia law makes an exception for military parents through the Virginia Military Parents Equal Protection Act, which protects service members against losing visitation and custody rights during deployment. A military parent can delegate his visitation rights to a family member or stepparent during the time he is deployed. The Act also makes it easier for military parents to modify custody and visitation orders upon returning from deployment. Although child support and visitation are separate issues, the amount of visitation a parent exercises can influence the amount of his support obligation. The support amount owed in Virginia is calculated using a schedule set forth in the statutory guidelines, which factors in the incomes of the parents and amount of time each has physical custody of the child. 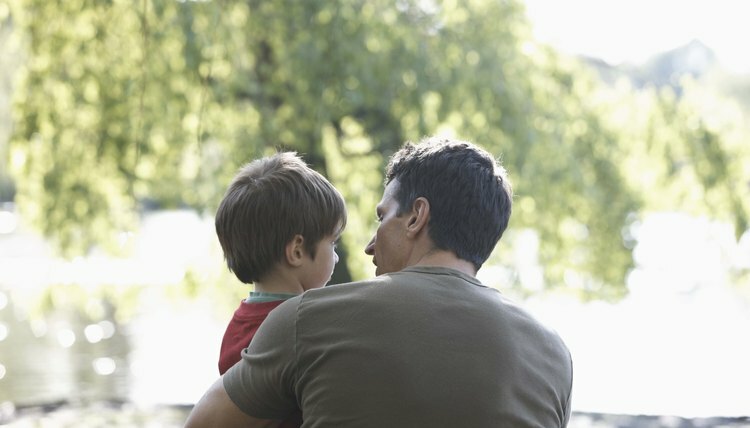 In a shared custody arrangement where the father has more than the typical amount of visitation, the amount of support he owes usually drops in proportion to the increased number of overnight visitations he has with the child. Virginia State Bar: Grandparents: Don't Give Up!